As you can see Bella was very willing to take photos inside the teepee and loved her teepee so much that she was almost in tears. Bella has wanted a mini reading spot of her own for ages. Usually she reads on her bed or the couch this way she get's outside and enjoys the fresh air all while being comfy. I love that there is also room for a light so she can sit out on the deck at night and read too. I am excited to say that A Muster seed toys teepee was able to fit both Bella and I. As you know apart of Bella bedtime routine is a system we have in place called ticket time. see mlp fit nice and comfortable there is also room for her side walk chalk and a few more book in the other pocket. Perfect outside play teepee for our deck. Living in an apartment sometimes it not easy finding space for all of the cool things we want. if you been following along ticket time is a reward system that Bella earns tickets and banks them on making good choices, sticking to routines and having good behavior choices. I am glad to say that the teepee fit perfectly snug on our deck. When winter comes around I will have to fold it up and put it where we keep our bikes but for summer time reading I can't say enough nice things about the fun teepee. The craftsmanship is fantastic with even stitching and no loose threads. I love when I come across well-made, quality products. Living in an apartment sometimes it not easy finding space for all of the cool things we want. 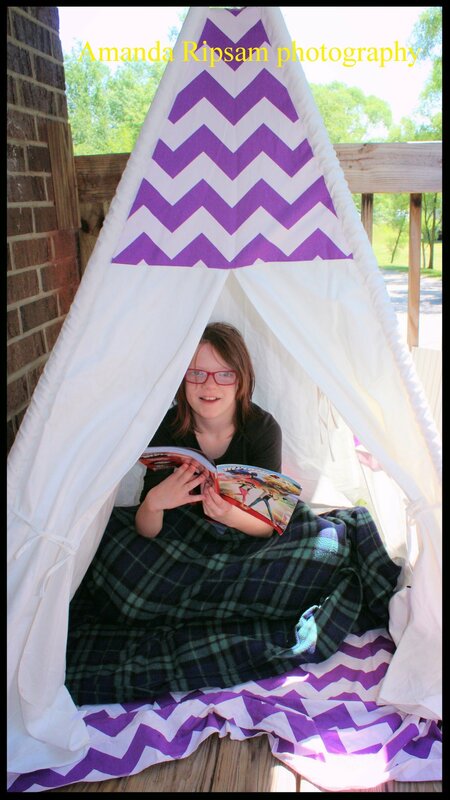 A reading teepee has been on my wish list for some time now. Bella being 11 and just over 4 feet tall I was not sure we would be able to find a reading teepee for Bella that would fit her. I absolutely love the beautiful color and pattern options which I think would look attractive in any room. I picked purple as that is the matching color of our website. 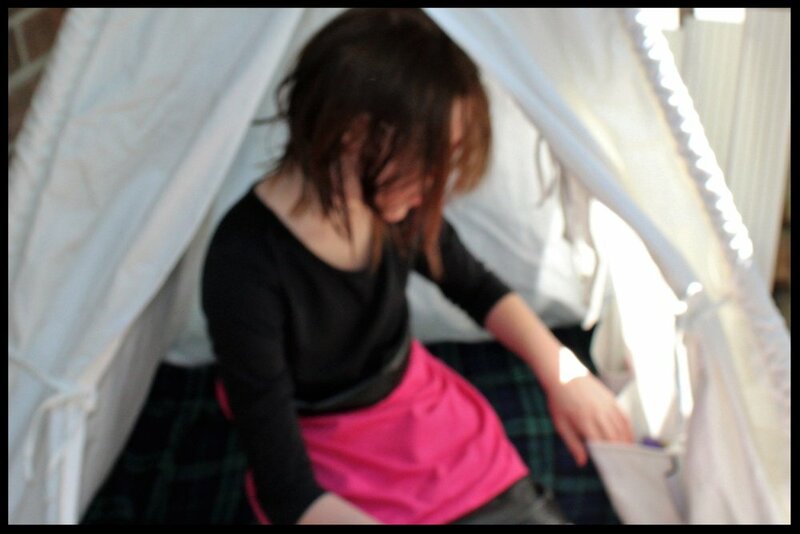 When the teepee tent finally arrived, I immediately noticed a difference in the quality of the wooden and fabric. I know it’s a minor detail but the dowels smelled like fresh pine and were smooth and well-sanded. They screwed together snugly and haven’t snapped yet so that’s a huge plus! Bella loves to use sidewalk chalk outside and draw with her markers and paint so it's a good thing the teepee is machine-washable! Assembly was very straightforward and easy. I did it with out the help of my husband. I was kind of proud I didn't need his help to assemble the teepee. You take the pole and the little piece that attaches the pole together and build a longer pole then you simply take the longer poel and slide it in the fabric slot. There are a few poles but nothing major to assemble. Nothing like putting up a tent. (thankfully) then you tie the strings on the top to help keep the poles secured and you are all set. It's so simple to put together I think that is my favorite aspect of the teepee. Bonus we can take the teepee with us to parks for Bella to have a place for shade and hang out in. product for every one purchased on amustardseedtoys.com. and you can buy the teepee is at the link below as I know after seeing the cute photos of Bella you will want one yourself. 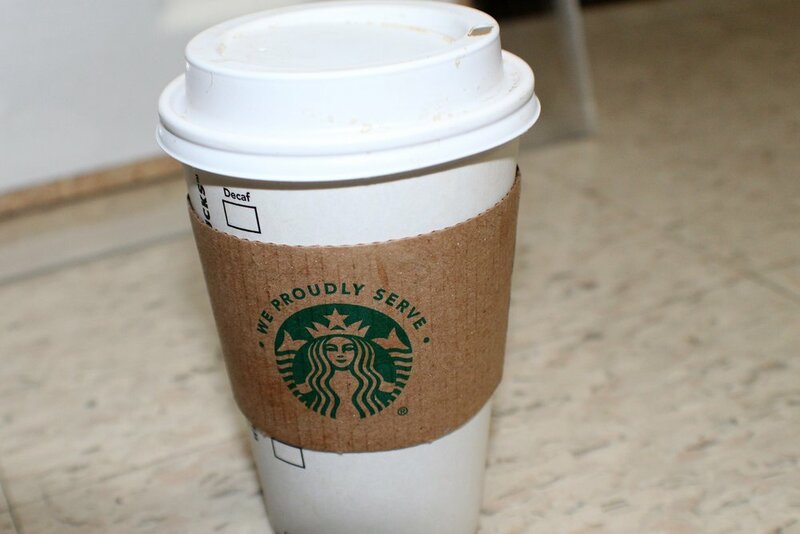 Disclosure: I was not financially compensated for writing this post. I did, however, receive a sample product for review purposes. Nonetheless, this review is 100% my honest opinion and, to the best of my ability, an unbiased review. I hope you enjoyed the cute photos I took of Bella I took the pictures with my canon rebel eso t6 we are enjoying getting back into the blogging world after our very long break. I am taking this blog in a new direction because were want to share our journey and have fun as we do so. I look forward to hearing what you think about our new teepee. Thank you so much for reading. Until next time choose kindness and support each other.